So far we have seen God’s promise in the sign of Virgo with its three decans and God’s provision in the sign of Libra and its three decans. That is, we have seen that God promised to make a way for man to be redeemed from the penalty of sin by sending one who would be the “seed of the woman.” This one would be the “desired of all nations” and yet at the same time he would also be “the despised sin-offering.” This paradox, notwithstanding, he would come in victory as the Lord of Harvest, reaping a vast multitude of souls into his Kingdom. That was the promise. Then, we saw that God took the initiative and sent His only Son who came as the “all-sufficient payment that covers our sin,” in contrast to our own spiritual bankruptcy. This one who came suffered upon a cross of shame, dying silently on our behalf as He took what we deserved. Yet, for all his suffering, he is still the reigning monarch of the universe, the Lord of Lords and King of Kings who alone may wear the crown. That was the provision that God gave to fulfill his original promise. Now, we enter into the third chapter, the Chapter of Conflict, in which we shall see the great battle that raged between Satan and Jesus. Satan would do anything to derail the eternal plan of God; and Jesus, the “Very God of Very God and Very Man of Very Man” would not be distracted or detained from his Father’s commission, but would rather “set his face toward Jerusalem.” This eternal conflict is seen in the sign of Scorpio, the Enemy Trodden Under Foot. It is important here to be aware of a verse in the Bible — in Genesis 3:15. Bible scholars call this verse “The Seed Prophecy.” It is, in fact, the first prophecy in Scripture to foretell of a coming Redeemer and it is told to the serpent (Satan) in the Garden of Eden after the Fall. This is exactly the picture we see in the sign of Scorpio, a scorpion whose head is being crushed by the foot of the serpent-wrestler, yet his tail is poised and ready to bruise with unbearable agony the wrestler’s other heel. The Bible teaches that Jesus fulfilled the original Seed-prophecy (Gen. 3:15) when he died on the cross (bruise to the heel). However, in return He gave Satan the death blow, the bruising of the head. Though the crucifixion seemed to be the victory of evil over godly righteousness, it was in fact the crushing of the powers of darkness because by his death, Jesus paid the penalty of the sinner’s debt. God could then show His grace to man. There could have been no other way because God’s justice demanded a full satisfaction before His grace could have free sway in the hearts of men. 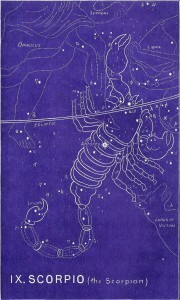 Pay close attention to the names of the stars in each constellation. They will ALWAYS back up the message in The Gospel Truth above. 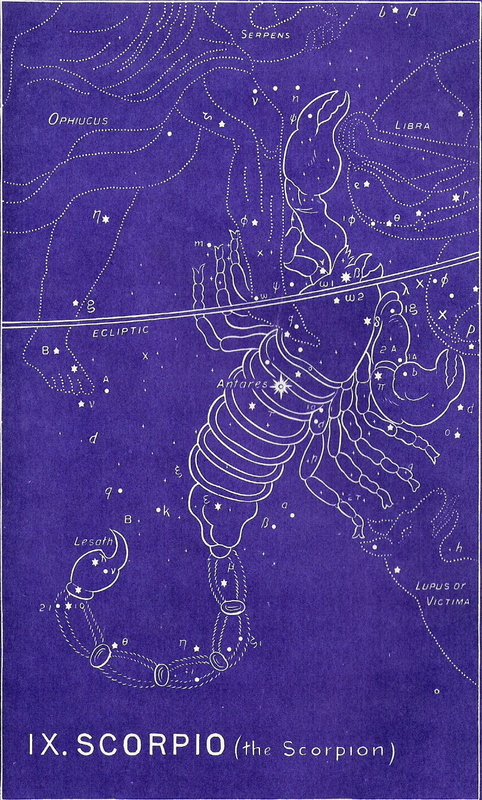 To continue in the correct order of the ancient star chart, please select Serpens next. Or click on The Big Picture for more information about the Gospel in the stars. What about you? Are you ready for this? Are you ready to make some decisions? zodiactruth | Powered by Mantra & WordPress.